Gokarna is located in Uttara Kannada district of Karnataka state, Gokarna is the town of temples on the western coast of India. Here you can see the second–tallest statue of Shiva in Murdeshwar Temple Near to Gokarna. Gokarna is famous for temples and holiday destinations, Here you can discover abundant trees of banana, coconut, and many other. This is a peaceful place with the Western Ghats on one side and Arabian sea on another with a set of beaches and Rocky mountains. The most famous beaches in Gokarna are Kudle Beach, Om Beach, Half Moon Beach and Paradise beach. Kudle Beach and Om Beach are 6 km away from Gokarna town, you have to cross a muddy hill then by hiring a rickshaw or by walking you can reach the beach. To get the pleasure of beaches, smooth sand, palm trees and hassle-free holiday, Gokarna is one of the serene place of vacation in the country. 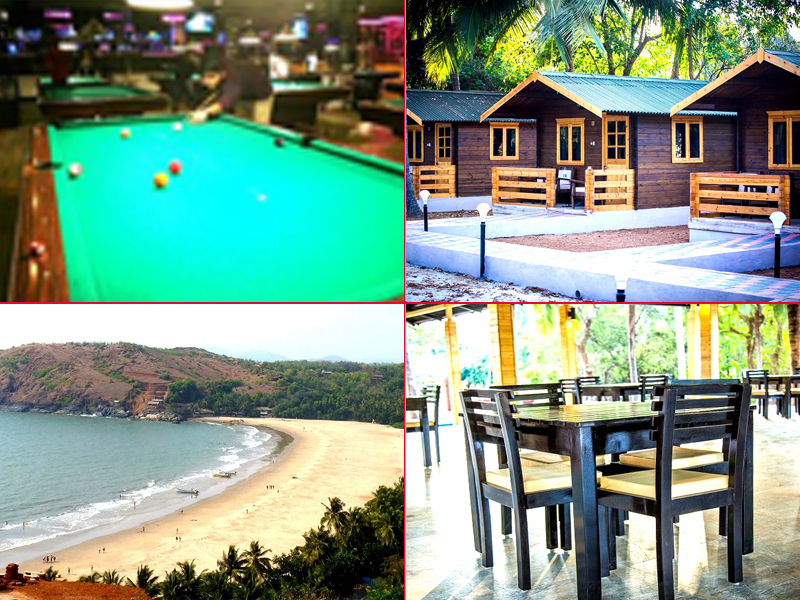 Tourists are provided with various choices to reside in Gokarna town, you can stay in Gokarna resorts which are available from low range to high range and there are a few of Gokarna hotels, you can also prefer luxury Gokarna resorts apart from them more splendid are the beach resorts. If you desire to stay near to beach get the delight of cool winds, smooth even sand and the stunning views, then Kudleoceanfront is the best beach resort which will offer you a delightful experience with its infrastructure and services making your trip remarkable, Here you will observe inclusive pleasure of the beach as it is situated very close to Kudle beach. Here in Kudleoceanfront experience of the peaceful environment, the mountains and the beautiful beach will mesmerize you and treat you in gaining rest of mind and heart. Kudleoceanfront offers you private luxurious cottages made of pine wood at affordable rates, you will be absolutely comfortable with the stay as there are AC and Non-AC cottages according to your need. You will be pleased by the Services provided by Kudleocenfront, The services includes Multi-cuisine In-house Restaurant, Airport pick and drop services, Snooker, Activity center, Wifi connectivity, Hammocks, and Gardens. Have a look at the entire services provided by Kudleoceanfront and make your voyage memorable for life, get all the information about Kudleoceanfront, Visit the website www.kudleoceanfront.com go ahead and explore an exciting place.